“Aasa Undiga” is Soma Sankar’s fourth collection of translated short stories in Telugu. This eBook contains 12 short stories from different languages. Available as eBook only. Buy this book from Kinige. “Prayananike Jeeivam” is Soma Sankar’s Telugu translation of Dr. Ajit Harisinghani’s ‘One Life to Ride’. This book makes the readers feel as if they were riding pillion with the author. Available as both print book and eBook.Buy this book from Kinige. 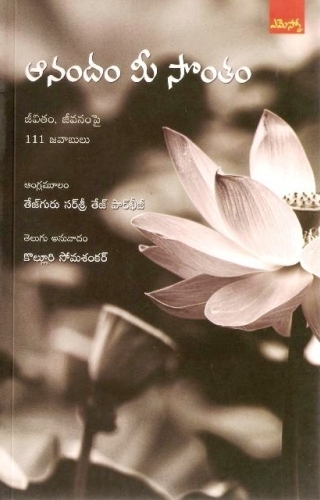 “Devudiki Sayam” is an anthology of short stories in Telugu by Soma Sankar. This eBook contains 16 short stories with a foreword by Mr. Vihari. “Veduru Vantena” is Soma Sankar’s third collection of translated short stories in Telugu. This eBook contains 14 short stories from different languages. “Money Plant” first anthology of Soma Sankar’s translated stories. It was released on 29 Nov 2006. It consists 19 short stories translated by Soma Sankar and which have been published in reputed periodicals. Available as both print and eBook. Buy this book from Kinige. “Naannaa!! Tondaragaa Vacchey” is Soma Sankar’s second collection of translated short stories in Telugu. This eBook contains 15 short stories from different languages. Available as eBook and print book. Buy eBook from Kinige. Print book can be obtained from Navodaya Book House, Hyderabad. 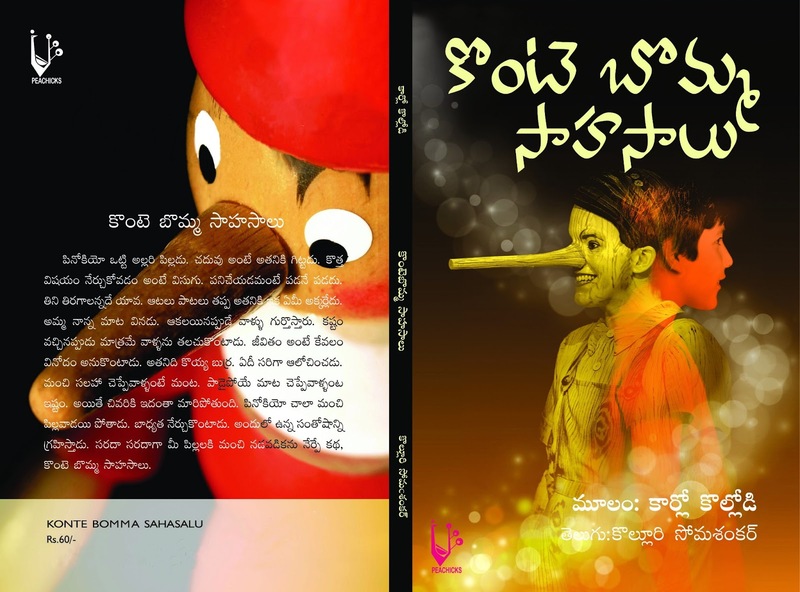 “Konte Bomma Sahasalu” is Soma Sankar’s Telugu translation of “The Adventures of Pinocchio” by Carlo Collodi. The Telugu version was published by Peachicks, Hyderabad. Available as print book only. Buy this book from Peacock Classics. Vaddi Om Prakash, Kasturi Murali Krishna, Vedantam Sripati Sarma and Soma Sankar have brought up a collection of short stories titled “4 x 5″. This was published by Kasturi Prachuranalu in 2004. Each author had contributed 5 stories in this collection. This book is available for sale in all reputed book shops or write to publisher for copies. Soma Sankar has translated “The Magic of Awakening” by Tejguru Sirshree Tejparkhi into Telugu with the title “Anandam Mee Sontham” for EMESCO Books. The book was in the genre of body-mind & spirit and answers 111 questions on life and living. The book was simultaneously released in 9 languages on 9 Sep 2009. Available as print book only. Buy this book from Emesco Books.